At the centre of ZSL Whipsnade Zoo is Hullabazoo - a special area dedicated to entertaining your little creatures! Hullabazoo is made up of Hullabazoo Farm, Hullabazoo Indoor Play and Hullabazoo Adventure Play. Hullabazoo Farm is an interactive, up-close adventure, where little ones will be able to meet and greet a whole host of farmyard friends. Each element of Hullabazoo Indoor Play is designed around different habitats enabling your children to have fun and mimic their favourite animals. You’ll be able to watch your little ones crawl through the garden, climb like an insect or journey through the Antarctic to become a penguin sliding down the ice. Little ones will be climbing new heights at ZSL Whipsnade Zoo with the launch of Hullabazoo Adventure Play – a brand new, outdoor play area. See videos of Hullabazoo indoor play, adventure play and farm! Little ones can climb new heights at ZSL Whipsnade Zoo with our outdoor play area, Hullabazoo Adventure Play! Hullabazoo Adventure Play has been specially designed around animal movement, giving youngsters the chance to slither and slide as they run wild and test their agility against one another. Taking pride of place in the play area is Whipsnade Heights, made up of six giant towers for children to tackle before they climb cargo nets, clamber over rope bridges and slide down fireman’s poles. Other fantastic features in the Zoo’s bespoke play area include a zip wire, monkey bars, balance beams, seesaws and climbing frames. And Whipsnade’s youngest visitors haven’t been forgotten about either, as they have their own dedicated play space with swings, slides, and a roundabout. Hullabazoo Adventure Play, located at the heart of the Zoo next to Hullabazoo Indoor Play and the farm, is suitable for children of all ages, and is open 364 days of the year. Let your little ones have a truly wild day out with Hullabazoo Indoor Play! Hullabazoo is a busy and lively indoor play area in the heart of ZSL Whipsnade Zoo. Each element of Hullabazoo is designed around different habitats enabling your children to have fun and mimic their favourite animals. You’ll be able to watch your little ones crawl through the garden, climb like an insect or journey through the Antarctic to become a penguin sliding down the ice. Plus we haven’t forgotten you. We understand as parents, grandparents, aunts and uncles that you too have needs, so we will have comfortable seating and a selection of quality food and drinks available within the vicinity. Hullabazoo indoor play is located at the Children’s Farm (in the heart of the Zoo) and is suitable for children up to 10 years of age. Hullabazoo is hugely popular with our visitors, and for the safety and capacity reasons we can only accommodate a limited number of children at any one time. For this reason we highly recommend booking a session inside Hullabazoo Indoor Play on the morning of your visit to avoid disappointment. Sessions are booked on a first come, first served basis. They book up quickly so please book your session early in your visit as there are days when all sessions have become full by lunchtime. Are you interested in booking private hire? Check availability and book online. Guardians are responsible for the supervision of all children in their care at all times. We provide members of staff who are first aid trained, any children who suffer from sickness, diarrhoea or contagious conditions will not be allowed within Hullabazoo Indoor Play. All customers must remove their shoes before playing and for hygiene reasons MUST wear socks, underwear and appropriate clothing. Age restrictions are necessary for the safe use of equipment; children must play in the age appropriate area (baby garden 18mth - 3yrs, junior play frame for 4-10 yrs.). Maximum age on the equipment is age 10. Timed sessions apply, customers may not book consecutive sessions. Only food and drink purchased in Hullabazoo may be consumed on the premises. Photography must be restricted to your own children only, and we ask you do not stand at the bottom of the slide to take photos, management may ask to see photos if a complaint is made. No Buggies/scooters/bikes etc in Hullabazoo Indoor Play. Fighting or inappropriate behaviour will not be tolerated; guilty parties may be asked to leave. We advise that children wear long sleeves and trousers without any ropes or cords, remove objects from pockets and leave personal items with a guardian; we cannot accept any liability for losses or thefts. All customers must abide by all written and verbal instructions from staff. We do not tolerate any form of abuse towards staff. Management retains the right to refuse entry. Some of the many animals you can meet on the farm include, miniature donkeys, Trevor and Tulip, a family of pygmy goats, Gloucester old spot pigs and piglets, sheep and lambs, bunnies, guinea pigs, ferrets and cute newly-hatched chicks. Every element of the farm has been specially designed to enable visitors to get closer to the animals than ever before. Visitors to Hullabazoo Garm will be able to explore the pygmy goats’ walk-through home, groom ponies and join in with daily interactive talks and activities, including hands-on mini keeper sessions, animal handling, and storytelling, with keepers on hand to answer all of their farmyard questions. Ever wanted to have Hullabazoo Indoor Play exclusively for your little ones and their friends? Well now is your chance. Hullabazoo is available for Private Hire on most Fridays, Saturdays and Sundays all year round. Please check dates that are available by pressing the book now button. Please be aware that private hire of the venue is extremely popular and we would recommend booking well in advance to avoid disappointment. Two hours exclusive use of Hullabazoo Indoor Play (3pm-5pm during off-peak season and 4pm-6pm during peak season). Access for up to 60 children (this does include siblings, total of 150 people including adults). Children must be aged 10 years and below to go on the equipment. Unlimited squash for the children (up to 60 plastic cups provided for the children, in relation to the number of children you have invited to your party, one cup per child, we do not provide cups for adult guests). Parking outside Hullabazoo Indoor Play. Access to the Zoo 30 minutes prior to the session for the party organiser to set up. Access to the Zoo 15 minutes prior to the session for party guests. Entry into Whipsnade Zoo is for access to Hullabazoo Indoor Play only; for the duration of the party guests must remain in Hullabazoo Indoor Play . Guests are not permitted to use any other Zoo facilities except for Hullabazoo Indoor Play. Do members get discount off Hullabazoo Private Hire? Yes members will receive 10% off the current Private Hire price. For current pricing of Hullabazoo Private Hire please speak to a member of staff. Can I spend the day in the Zoo before my Private Hire Session? 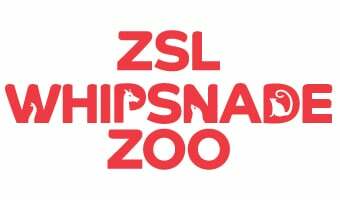 Our private hire bookings do not include entry into ZSL Whipsnade Zoo. The host of the party can access the Zoo 30 minutes before the beginning of the session to allow time to set up in Hullabazoo Indoor Play. Party guests will be able to access the Zoo 15 minutes before the start of the session. If you wish to spend the day in the Zoo before your private hire session, tickets can be purchased online. How many children can I bring and what are the age restrictions? The maximum number of children that you can bring is 60, although the total number of people including adults must not exceed 150. Children must be aged 10 years or below to access the equipment in Hullabazoo Indoor Play. Maxium number of children does include siblings. Will I have exclusive use of Hullabazoo including the facilities during my Private Hire? You will have the full and exclusive use of the Hullabazoo play frame, seating area and facilities. During your private hire time other customers will have access to the café but there will be no access through to the Hullabazoo seating area, play frame or toilets. Other toilets are available round the Zoo for customers to use however your guests will have the whole of Hullabazoo exclusively for them. Is there a first aider available? They will be one first aid trained member of staff on hand throughout your party. An email will be sent to you before your party outlining what you need to bring and will also be listed on your Private Hire agreement however unlimited squash for the children will be provided (up to 60 plastic cups provided for the children, in relation to the number of children you have invited to your party, one cup per child, we do not provide cups for adult guests). We do not provide cutlery, cake knife, serviettes, plates, cups for adults etc. How will it be set out? We will lay your Private Hire out in buffet style. This means one long table in the middle of the area. If you wish to rearrange it all we ask is that you place it back the way you found it at the end of your hire time. Will there be a host? There will be members of the Hullabazoo team here to supervise the building, however please be aware that the supervision of children and tidying up following the party is the responsibility of the adults who have booked the private hire session. We do ask that you leave Hullabazoo in the same standard as you found it. Are we allowed to bring a birthday cake and can we bring candles? You are more than welcome to bring a birthday cake with you and you may also light candles for the cake as long as it is not an excessive amount. Yes, we welcome all children in the Hullabazoo Indoor Play. Do let us know if you are planning on bringing along a child with additional needs by phoning 0344 225 1826 and we will do all we can to ensure that their needs are met wherever possible. All of those attending the party can drive into the Zoo and will be directed to our Hullabazoo car park. Please email us at hullabazoo@zsl.org or call 0344 225 1826. Please make sure you have read our Private Hire Agreement before booking. You will be sent a copy of this to sign and return after you have made your booking and paid in full.